Central height adjustment with 3 positions.Carry handle makes easy to handle.Lightweight grass box.Lightweight plastic deck. 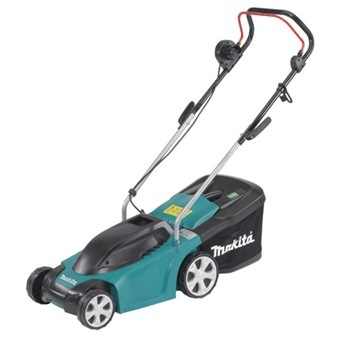 MAKITA 33CM ELECTRIC LAWN MOWER, 1100W, ELM3311X is rated 4.7 out of 5 by 3. Central height adjustment with 3 positions. Carry handle makes easy to handle. Rated 5 out of 5 by Wadells from Excellent All Round Great product, great price, fast delivery - excellent service all round. It has been effective and reliable, and has coped with longer grass if we've been away for a few weeks. Would definitely recommend.